Many religious leaders and conservative groups want him to exempt religious organizations from the order. Liberal clergy and groups advocating on behalf of gay, lesbian, bisexual and transgender people adamantly oppose such an exemption — and have pulled their support for a non-discrimination bill they long supported to drive the point home. The upshot is a difficult balancing act for the White House, which says the executive order is still being drafted — nearly a month after Obama announced he would sign it. White House spokesman Josh Earnest declined to say whether a religious exemption would be included or was even being considered. Within the past two weeks, scores of religious leaders of contrasting views have signed letters to Obama, arguing for and against an exemption. One letter, signed by 14 faith leaders urging a “robust” exemption, was organized by Michael Wear, a Washington-based consultant who previously worked on Obama’s re-election campaign and in the White House office of faith-based initiatives. He said the exemption sought by the 14 signatories of his letter would not establish new prerogatives for religious organizations, but would enable them to continue long-standing hiring practices favoring people who share the employers’ faith. Among those signing were popular evangelical preacher Rick Warren, prominent megachurch pastor and Obama confidant Joel Hunter, and the Rev. Larry Snyder, CEO of Catholic Charities USA. Opponents of an exemption say existing federal policy already allows some religious organizations the leeway to hire and fire based upon religious identity. 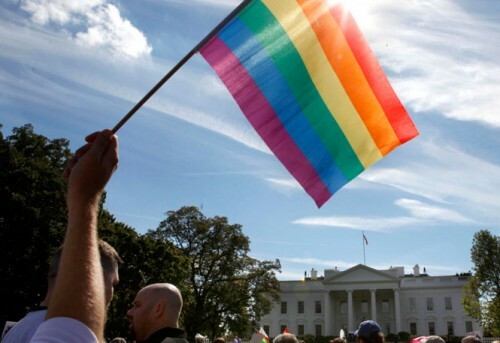 However, that provision does not permit discrimination based on race, gender or disability, and gay-rights supporters say discrimination against LGBT people also should be barred.